Keyhole Photo provides editorial, commercial, advertising and documentary wedding photography. They are based in Mobile, Alabama, but are available for travel worldwide. 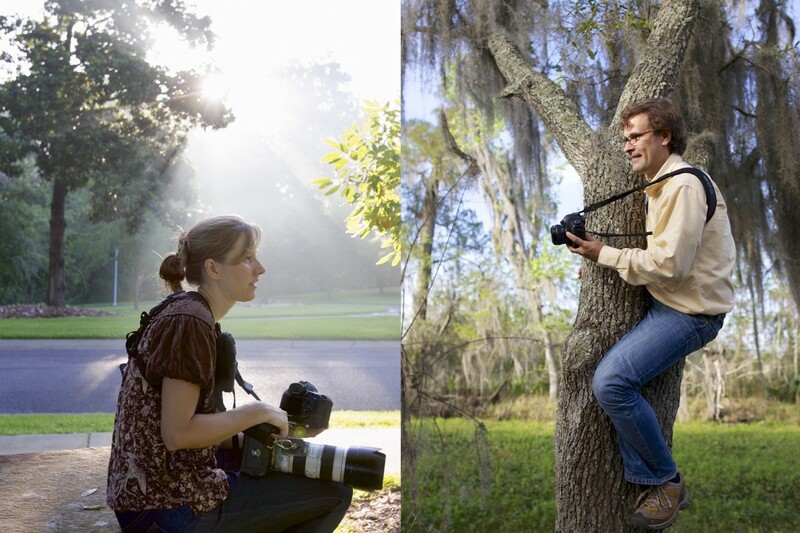 Jeff and Meggan Haller started Keyhole Photo in Mobile, Alabama, with more than 15 years of professional photography experience working as staff photographers at daily newspapers. Meggan studied photojournalism at the University of Florida, and graduated with a Bachelor of Science in journalism and Bachelor of Arts in English. Jeff graduated from the University of Nebraska-Lincoln with a Bachelor of Journalism, and then recently earned a Master of Arts degree in Photography from Ohio University’s renowned School of Visual Communication. Their careers included positions at the Cincinnati Enquirer, the Yakima Herald-Republic in Washington, the Longmont Daily Times-Call in Colorado and the Gillette News-Record in Wyoming. Their experience at newspapers has exposed them to a variety of situations, covering everything from professional sports to presidential visits to regular everyday people doing everyday things. Their jobs were to tell the story of events as they happened, through their photographs. In 2007 Jeff launched a solo exhibition of his work from a documentary photo project on a small town in rural Nebraska. Somewhere in the Middle of America: Life in a Prairie Town captures the essence of everyday life in the Red Cloud, Nebraska, the town featured prominently in Willa Cather’s classic novels of the pioneer experience. The show opened at the Red Cloud Opera House and then traveled to the Lewis & Clark Interpretive Center in Sioux City, Iowa, the Great Plains Art Museum in Lincoln, Nebraska and the Mobile Arts Council in Mobile, Alabama. A multimedia slideshow about life in the middle of America can be viewed online at Keyhole Interactive.